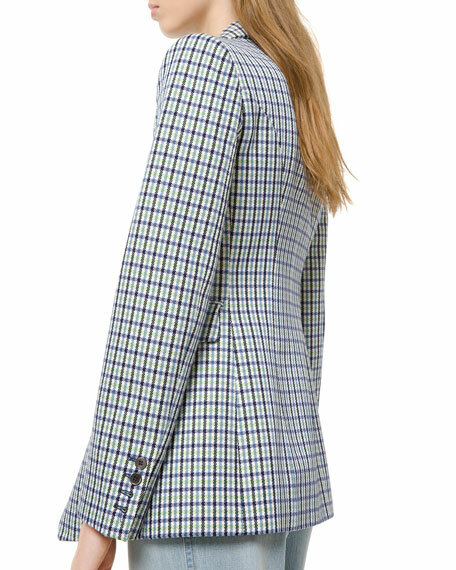 Michael Kors blazer in checked twill. 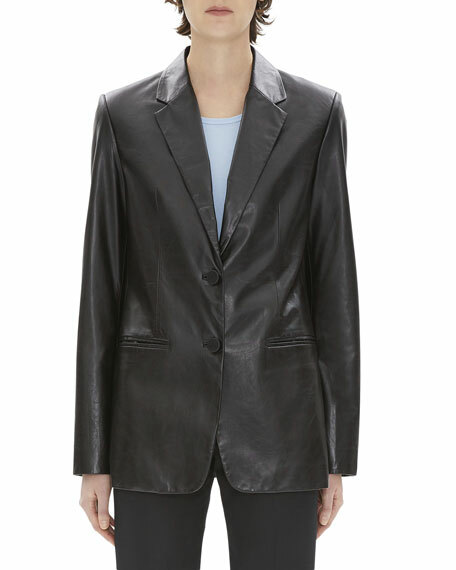 Helmut Lang blazer in genuine calf leather. Notched collar; two-button front. Long sleeves; button cuffs. Waist besom pockets. Relaxed silhouette. Below-hip length. Cutaway hem. Calf leather. Imported. 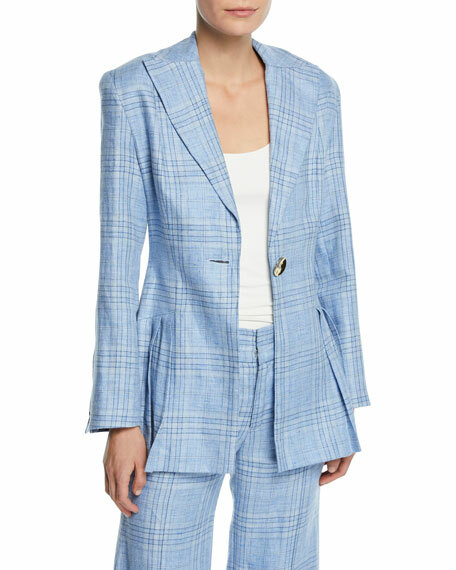 Maggie Marilyn "Suit Yourself" linen blazer in check. Peak lapels; single-button front. Long sleeves; button cuffs. Tailored fit. Pleated peplum hem. Polyester/viscose lining. Dry clean. Made in New Zealand. 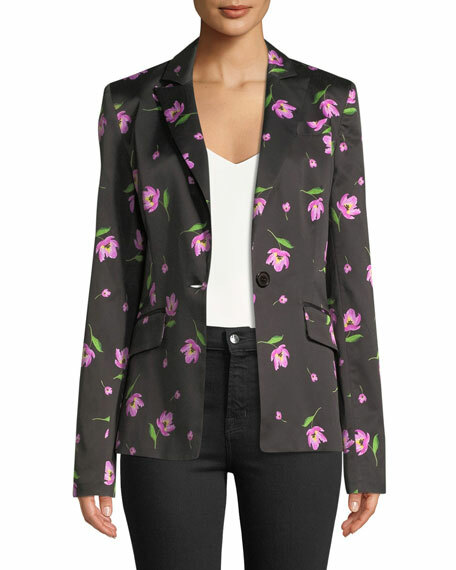 Milly stretch viscose blazer with floral print. Notched lapels; one-button front. Long sleeves; button cuffs. Welt chest pocket at left. Side flap pockets. Semi-tailored fit. Straight hem. Cotton/viscose/spandex. Dry clean. Made in USA of imported material. 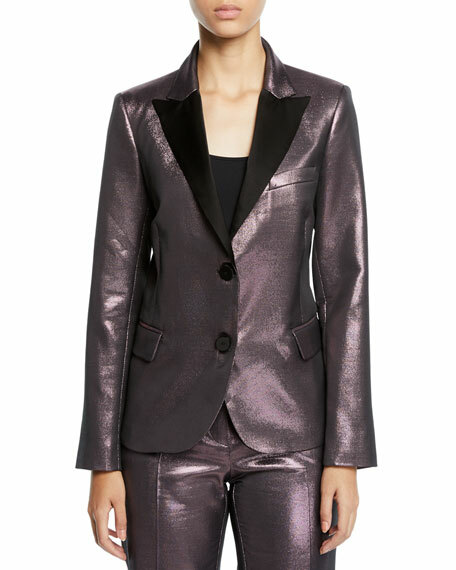 PINKO metallic blazer. 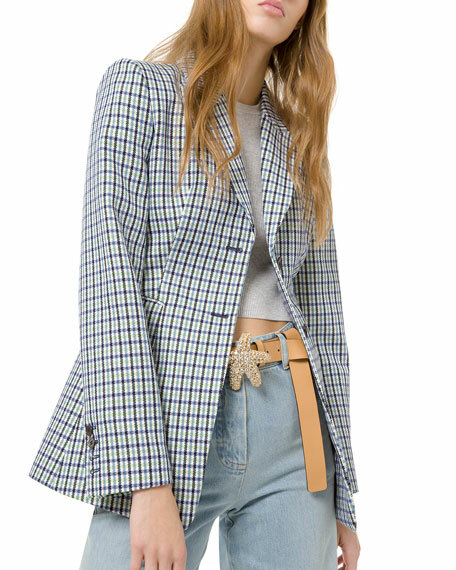 Peak lapels; two-button front. Long sleeves; button cuffs. Chest welt pocket. Side flap pockets. Tailored fit. Polyester/cotton/metallic fiber. Acetate/polyester, lining. Dry clean. Made in Italy.